Acclaimed film director David Lynch (Blue Velvet, Wild at Heart, Mulholland Drive) released a 17-track charity compilation on March 8 to support his foundation, which encourages healing through meditation. The album features exclusive tracks by Tom Waits, Iggy Pop, Peter Gabriel, Moby, Ben Folds, and others. 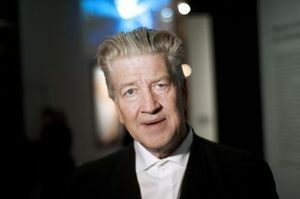 In exchange for a pledge of $18 (€13), the David Lynch Foundation, founded in 2005, will provide all of the tracks in digital format over the course of the next six weeks. Proceeds go to the organization’s global effort to teach meditation to 1 million at-risk youth and 10,000 veterans of war with post-traumatic stress disorder. A supporter of transcendental meditation, dubbed TM for short, Lynch believes that it is the cheapest, most effective, and medication-free way of healing people who have suffered severe stress in war and any other extreme experience. Waits’ track is a live recording of “Briar & the Rose,” composed in 1993 for the play The Black Rider, cowritten by William S. Burroughs. On the website Pledge Music, you can hear a 90-second preview of the track alongside four more cuts from the compilation. Other artists included are Arrested Development, Au Revoir Simone, Mary Hopkin, Maroon 5, Neon Trees, Ozomatli, Heather Nova, and Slightly Stoopid. Make a pledge and each week you will receive two or three of the comp’s featured tracks, along with videos, photos, and blog updates, “giving you an insider’s view into the artists’ lives and experiences,” states the website. Last December, Lynch organized a Hollywood A-list fundraising event at the Metropolitan Museum of Art in New York for his foundation, which aims to train people in need the art of finding inner peace, said Lynch at the event. In 2009, the director launched an artistic visual and musical project with Danger Mouse and the late Mark Linkous aka Sparklehorse called Dark Night of the Soul. This entry was posted on March 9, 2011 at 11:35 pm and is filed under Articles, David Lynch Foundation, Music. You can follow any responses to this entry through the RSS 2.0 feed. You can leave a response, or trackback from your own site.